BIRDS OF A FEATHER…OR NOT. Like good manners, cushy comforters never go out of style. Sans duck down, but full of lightweight luxury. 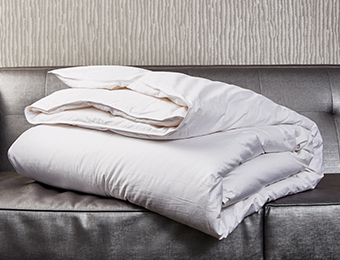 Our Kimpton hotel comforters come in your choice of down or combed fiber. 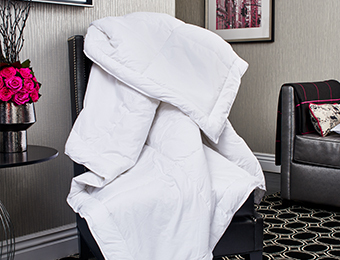 If you’re down with down, the 100% white duck down comforter is calling your name. The down alternative version is allergen-free. Both give you warmth and coziness minus the bulk.